Please make sure that you are logging in to the correct country version of Physitrack. Because Physitrack uses local databases for the lowest latency and highest patient security, if you signed up on Physitrack.com, you will not be able to login to Physitrack.com.au. (see below for relevant pages). If you forgot your password, click on the "Resend password" link, and we'll send you a temporary password. If you're not receiving your temporary password, please check your junk mail folder. If none of the above works, please contact us using the link below. 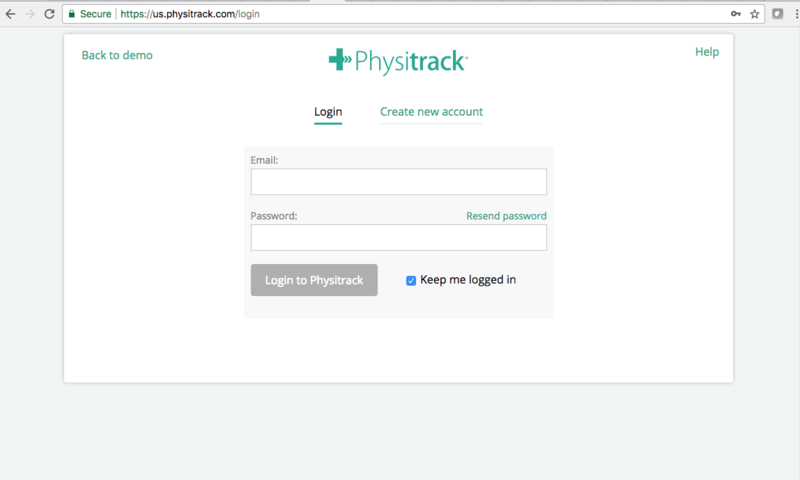 Once you are at the login page, enter your email and password then click "Login to Physitrack" to access your own Physitrack account.